So I haven’t really posted in a while due to the crazy, psychotic time that was Christmas and New Years! I spent some of it working, some of it drinking with friends and a lot of it with lovely family. Still, we are 6 days into the New Year so time to start thinking to the future and what 2014 may hold. 2013 was a great year in some ways and awful in others but there is no way but forward and this year will be something different again. 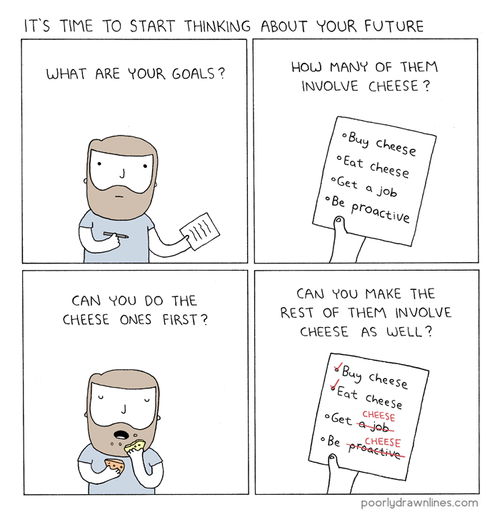 So goal setting doesn’t seem to be that effective for me. I am only being honest when I admit that I did not look at my 2013 goals once, the entire year. Which is extremely sad but also kind of demonstrated that this year would need to be different. 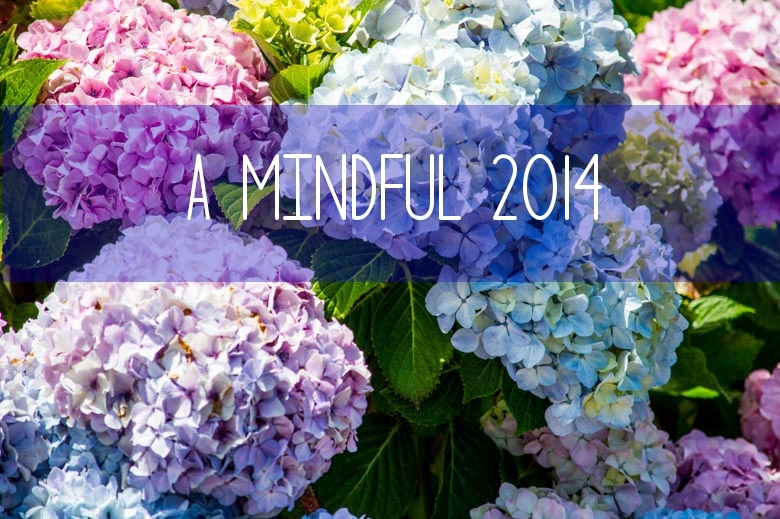 So instead of a list of specific goals I have one theme for 2014 and that is going to be Mindfulness. Confused? Don’t be. Mindfulness for me relates to being present in each moment, attentive to each event whether it be a beautiful sunrise or an unexpected emotion. According to Dr Jon Kabat-Zinn mindfulness relates to “paying attention on purpose, in the present moment, and nonjudgmentally, to the unfolding of experience moment to moment.” and so in my mind this translates to being more aware and contemplative of what happens in our present moment. Being receptive and contemplative in life I guess. Ok so maybe I am a little rusty on the concept but hopefully you grasp the idea. So for me this year is about being more aware and accepting, of my external environment but also my internal one (thoughts and feelings in all their weird, complicated wonderfulness). Basically this year I want to be more mindful in general of different aspects of my life. I think a theme is easier for me to refer back to as it is simple and easy to remember without referring to a list of goals that really don’t change from year to year. So having a theme doesn’t mean there aren’t specific areas that I think this will be most applicable to. The first one is my health e.g. how I look after it in terms of exercise and eating. One life change (in relation to what we eat) Edd and I have chosen to make and started on the 1/1/2014 was to become vegetarian which terrified me before hand but now that I am doing it seems like the most natural thing in the world. Other areas I think will benefit from some mindfulness include how I treat myself mentally and how I let others treat me. Lastly I don’t think a blogger could blog about New Years resolutions without referring to their blog so of course I am hopeful that by being more mindful of what I enjoy about blogging and what I find stressful I can optimize my little hobby and get the most out of it possible. Other things that this year will bring include the start of my first ever book (and wine) club and I am VERY excited. Although not quite as excited as I am for the two month Europe trip that Edd and I are planning for May/June (tickets to be booked asap!). All in all 2014 will be an exciting year with lots of new things and challenges and hopefully with a bit of mindfulness I can make the most of it! If you want to read a little about Mindfulness Google brings up a host of easy explanations such as here and here. I should warn you that my idea of mindfulness may not be 100% the same as the technical definitions but it is a theme I would still like to incorporate more of into my life. « My Final Foxy Reading Corner 2013 #45-50! 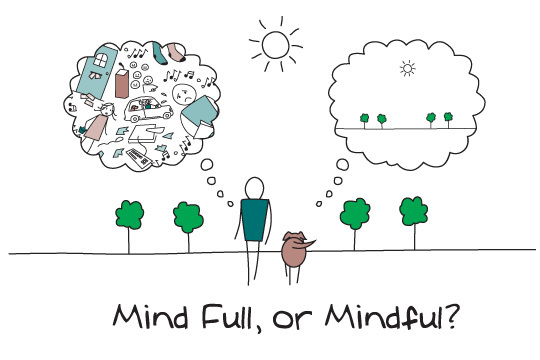 I love mindfulness, It’s a beautiful concept, and actually relatively easy to carry out. Just remember not to forget about it! I carried mindfulness with me for a while in 2011, as I was in dire need of some! It seriously helped me turn everything around and be happy about, well, everything. Have fun on your journey!